The U.S.F.S. 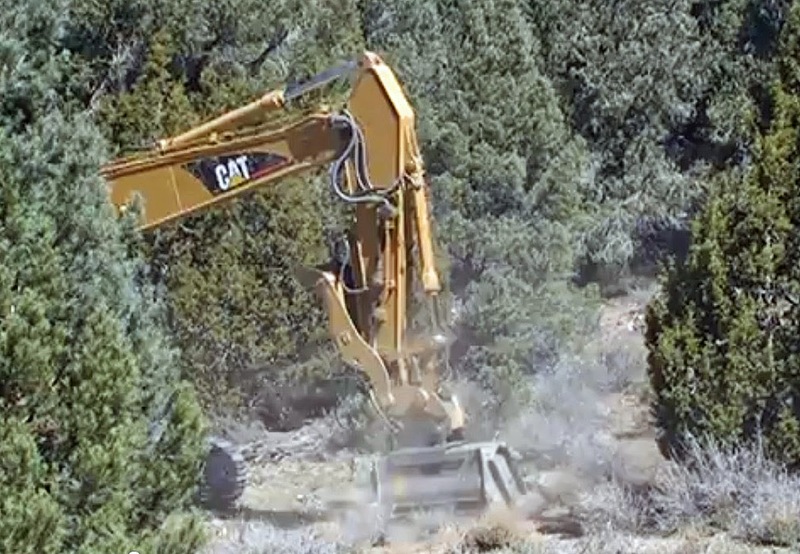 Lake Tahoe Basin Management Unit began a brush clearing project this week that will impact the Tahoe Rim Trail near Mt. Watson. The work area is centered in the area between Fairway Drive, Tahoe City and Mt. Watson, Northstar. The work will take place over a 6 week period which includes weekends. However, no work will be done on Memorial Day, May 26, 2014. To clear the small trees and brush, the U.S.F.S will be using a vegetation mastication machine. The mastication machine is like a large lawn mower that cuts small trees and brush like a lawn mower clips grass. Wood chips and debris from the mastication machine can be thrown up to 500 feet. Therefore, when the machine is working near the Tahoe Rim Trail, trail users will be routed around the area along Watson Boulevard (Forest Road 73).